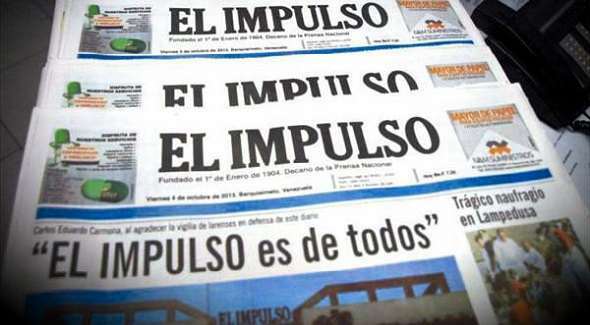 Hours before Nicolas Maduro announced the coming end of CADIVI, Barquisimeto’s main paper El Impulso made public that its request for currency to buy newsprint was finally approved, after months of delays. Had that request been denied or simply gone unanswered, the paper could have been simply forced out of print by Feb. 2nd. However, the newsprint crisis is still affecting many newspapers nationwide. Even if this problem is happening since late last year, now it’s reaching a critical point. So while it’s a small, welcome victory for diversity of opinion in the war against communicational hegemony, it’s far too soon to say that we have won the war.